(PRLEAP.COM) VERBIER, SWITZERLAND — Infertility specialist Iva Keene MRMed. ND. will be available for consultations with patients in Doha, Qatar and Kuwait City between the 12th and 17th of May. Keene who is trained in both natural medicine and conventional reproductive medicine, offers a unique, all-natural and non-invasive way of treating fertility problems which has proven highly successful. This will be her third trip to the Middle East. During earlier trips she consulted with dozens of couples, and many now have children after years of infertility. She will be seeing patients at the following times: Doha on the 16th of May (Location to be confirmed), Kuwait City from the 12th - 14th of May at Altaf Al-Essa's office in Shaab Sea Side. Note: most available appointment slots are now booked so to avoid disappointment, be sure to contact by phone or email at the earliest convenience. Once the appointment is scheduled, the patient will receive a comprehensive questionnaire about medical history. Keene will provide an in-depth, individualized assessment and analysis at the consultation. Phone and email access to Keene will be available following the consultation. Iva Keene MRMed. ND. 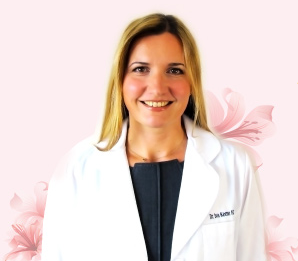 is based in Switzerland where she runs a fertility practice and online clinic focused on treating infertility non-invasively through targeted nutrition, diet lifestyle, exercise and mindset. Her philosophy is to do the maximum possible, prior to conception, to give the body of both partners the best natural conditions to restore optimum fertility and reproductive health — before using drugs and procedures such as IVF and ICSI. This unique approach has proven extraordinarily successful with many cases of couples conceiving naturally after years of infertility, often after multiple unsuccessful IVF cycles. To date Keene has helped thousands of couples from around the world that were struggling with a range of fertility problems. She is also widely known for her ground-breaking NFP Program or (Natural Fertility Prescription) home study programs for addressing infertility naturally which is available online at www.natural-fertility-prescription.com. Keene completed under-graduate studies in Switzerland, trained in Australia at the Australian College of Natural Medicine (now Endeavour College), a leading natural health institution and later earned a Masters in Reproductive Medicine from the University of New South Wales.